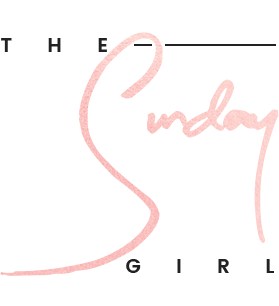 Regular readers of this blog will know I try to avoid petroleum jelly based products as a source of hydration as such ingredient only provides a barrier rather than authentically moisturising the skin. You would be forgiven for thinking that Lucas' Pawpaw Ointment is natural as it claims to be a "treatment from nature" using fermented Papaya's - it does include Papaya but this is along with other ingredients one of which is the aforementioned petroleum (Fresh PawPaw Fruit aka papaya, Rhus Succedanea Wax, Glycerine, Petrolatum, Canola Oil, Hydrogenated Castor Oil, Beeswax, Corn Starch, Potassium Sorbate). Is Lucas' Papaw Ointment better than your typical Vaseline offering? I have read countless reviews that state Lucas' Papaw Ointment is wonderful so I did try this balm with an open mind hoping that perhaps the additional ingredients combined with the petroleum would have a positive outcome. It seems that most users like myself tried this as a lip balm now don't get me wrong it does deliver a sense of relief to dry lips and moisturises to a degree but with continued use my lips flaked much like when I use Vaseline. 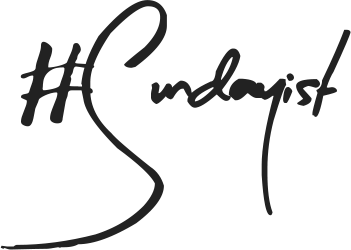 However it is not without its uses as it is a barrier product of sorts it works really well with matte lipsticks (MAC Ruby Woo I'm looking at you) to prevent the lips from drying out and making the lipstick more comfortable to wear. Another way that I like to use it is on dry skin such as stubborn areas like the feet - when paired with cotton socks and left overnight it does help to promote soft skin and it can be used to slick down stubborn brow hair not to mention it can act as a barrier to keep water off the skin. Yet the healing claims in my experience are complete unfounded. When I become stressed I develop a rather appealing breakout of eczema on my chin and around my mouth and as Lucas' Papaw Ointment claims to heal and soothe nappy rash, burns chafing, cuts and wounds I thought this would be the very thing. Sadly other than feeling cooling and dare I say it heavy in texture (that's emollients for you) it did next to nothing for my skin. Of course it could be argued that it doesn't claim to benefit eczema in any shape or form so my point is moot but after trying it out on a small burn (Christmas day cooking is lethal) I can say my point stands. I applied it to a small burn on my hand and found it trapped the heat within the burn making it feel worse so I urge you to avoid this method. 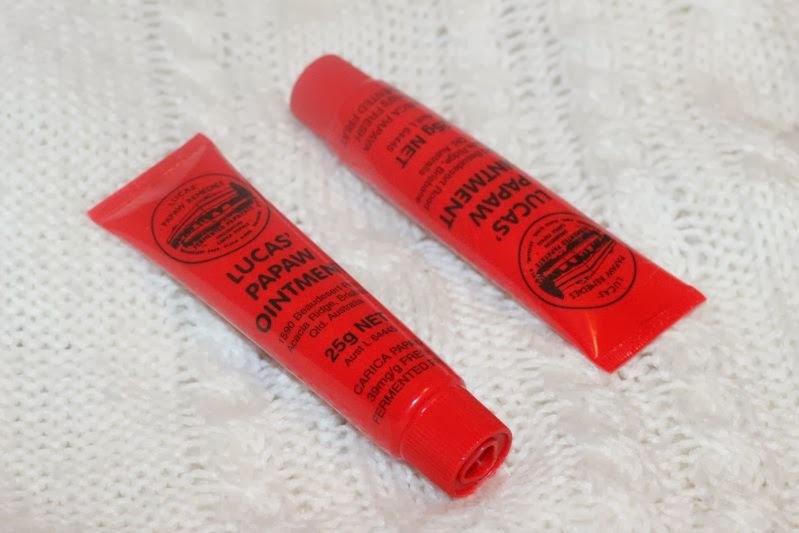 I was lucky enough to be sent two tubes of Lucas' Papaw Ointment from buylucaspapaw.com (great service, the products arrived within a week - do check them out) so do leave a comment below with your email address or twitter handle so I can select a winner at random. Giveaway is open to all and I will choose a winner on the 20th of January. Good luck! what a lovely post, really detailed, and makes me want to go nab myself a few tubes! I love this stuff for bites and burns....not too keen on it for a lipbalm but I'll always have a tube of this on me! I didn't like this product either :/ glad it wasn't just me that didn't understand all the rave reviews! I had no idea it had all that other stuff in it, but my little brother had eczema and it really helped him. ooh this looks like an interesting product! Very thorough review! Thank you! Sorry to hear you did not like it! Too bad! We have a tube of this in every room of our house. It completely heals all cuts over night, stops nappy rash, any splits in the skin, overlicked toddler lips developing red rashes and pimples. Would not be without it. This is a product I was youtubed into buying hehe but it remains in my medicine box unused. If you want a good treatment for minor burns I use acriflex its very soothing I get mine from boots as the iron and oven and me don't mix.